I am so grateful to Jim and to the others who offered to step in while I take a much-needed break. I am going to reblog his theme post, but please go to his site next week and until further notice for your SLS themes. I know others have offered, but Jim was the first one to offer and put up a post. Hopefully Jim will reach out if he needs more help going forward. Thank you again for all the love, everyone. It is truly appreciated! I am honored to take over as the guest host for SLS Helen Vahdati’s This Thing Called Life One Word at a Time Song Lyric Sunday, while she is recovering. It is late, so let’s get to the prompt which is “doctor/health/medicine”. I am not sure how this will work, but if you create a pingback to this post, I will read your blog. Feel free to suggest future prompts. Guys, I apologize for the lateness of the post. I’m still struggling with my health and I ended up getting sick this afternoon and completely spaced the theme post and that it was even Saturday! Luckily, I remembered in the nick of time (at least in my neck of the woods). I’m not going to spend any more time rambling on about things, so let’s just get right to it. Let’s put on our thinking caps, break out our playlists and get to work! Our theme for Song Lyric Sunday this week is new. I went through a time when I really didn’t want to listen to mainstream Christmas music. I even tried to convince myself that I didn’t like it, but I realized this year that I actually love so much of it. There are songs that I don’t like, for sure, but for the most part, it’s all just part of the season. My daughter introduced me to Family Force 5 and I was excited when they put out a Christmas album, although somewhat reluctant. It was actually better than I thought it would be. The year the album came out, I bought VIP tickets for me and my daughter and we saw them live in concert the first part of December. 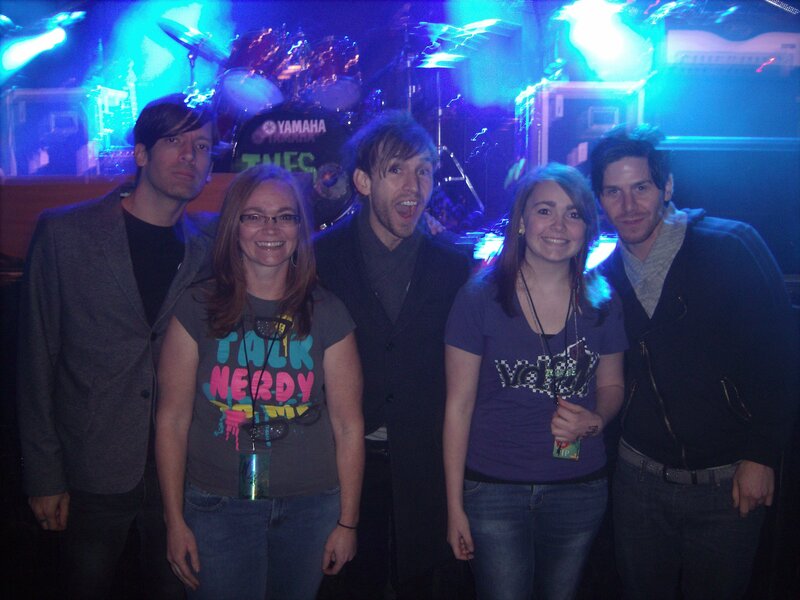 We got to meet the band and I even have a picture to show for it! This album was the only Christmas music I listened to for at least two years in a row. I still love it, even though I haven’t listened to it in a while. I’m happy that this song fit the theme today and that I get to share it with you. I hope you enjoy it as much as I do. The Song Lyric Sunday theme for this week was season. Please feel free to click the link, read the rules and post one of your own. My hubby and I decided to celebrate the season by watching sappy holiday movies today. I got so into it that I completely spaced my post today. At least I didn’t forget completely, though, and now I’m here to bring you another round of SLS, albeit a little late. Unfortunately, I didn’t have a pre-planned theme, so I had to come up with one on the fly. Hopefully it won’t be too difficult for you to come up with with a song; although, you guys never seem to let me down. You always seem to come up with something no matter what the theme is. With that short little intro, we’ll just get right to it. Let’s put on our thinking caps, break out our playlists and get to work! Our theme for Song Lyric Sunday this week is season. Sometimes I feel like some of my music tastes are stuck in 2010, back when my daughter was introducing me to all her favorite music and we were going to concerts all the time. I suppose that’s not as bad as some of you all (1960’s and such), but I do try to find new music. I’m just not very good at it… or I just don’t spend enough time looking for it. Lately, I’ve been listening to a lot of my son’s music (hip-hop), which is not my scene at all. I think he tries to play songs he think I might like, and some haven’t been too bad, but for the most part I really just don’t get it. I decided to have some fun today. This song is not deep and I think the only reason I like it is because of how much fun I think it is. I can’t relate to the lyrics at all, really. It reminds me of high school and the games that kids play with each other’s hearts (I swear I have never been this girl!). While that isn’t fun, I’m sure, I do think the song is fun. The video is odd and I’m not sure what’s even going on, but I do feel like getting up and dancing with that room of kids. I hope you can have some fun with this one, just remember to leave your thinking caps at the door! Or am I just a roadblock in your way? Tell me darling, can I get a break somehow? (How) could I say no? Can I keep up with her pace? Can I get your lips to speak my name? The Song Lyric Sunday theme for this week was girls. Please feel free to click the link, read the rules and post one of your own. 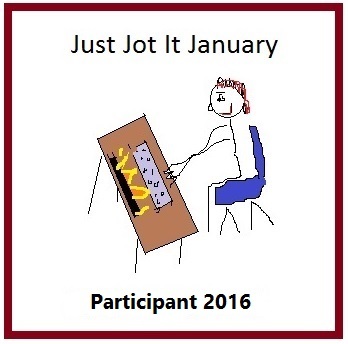 I made a vow last year that this year I would be much more jolly, and you know what? Despite being sick and everything else going on right now, I’m actually doing it. We spent most of the day Christmas shopping and I’m all done except for my co-workers. I have no idea what to do for them, but I’m going to come up with something that isn’t food related. We still have a week left, and I think we’re all tired of all the extra food in the office. I did fail at one thing. I was planning to bake, and it’s just not going to happen this year. I can’t even imagine standing in the kitchen for hours right now. Hopefully, next year I’ll be able to add that to my list of merry-making. Anyway, let’s just get right to it, since you should already know what the theme is. Let’s put on our thinking caps, break out our playlists and get to work! 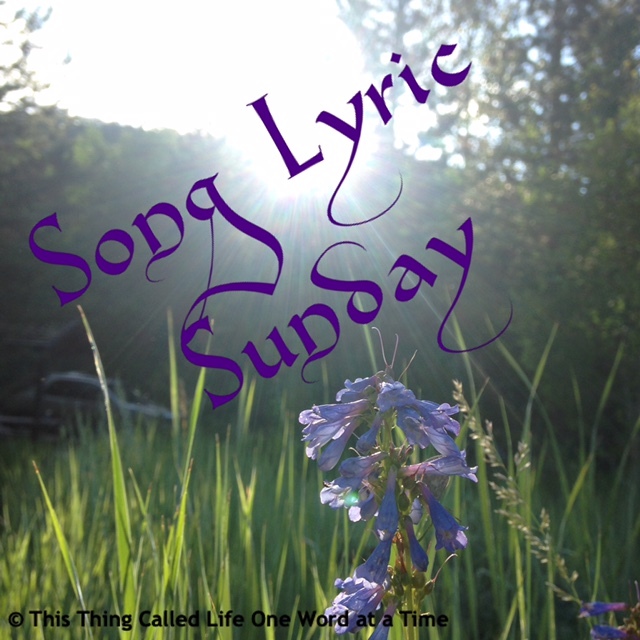 Our theme for Song Lyric Sunday this week is girls. I almost missed SLS again! Sheesh, I’m struggling lately! At least I made it one time, I suppose. The crazy thing is that I thought of this song right away when I posted the them yesterday, but I didn’t take the time to create the post. I suppose that’ll teach me to get it done all at once. I always seem to caveat Country music. As I’ve said many times, I’m not a huge fan, but I do have some songs that I still love from back when I listened to it. Keith Urban is pretty hit and miss for me, but I do love this song. I hope you’ve all had a great Sunday! I also hope you enjoy! The Song Lyric Sunday theme for this week was boys. Please feel free to click the link, read the rules and post one of your own.